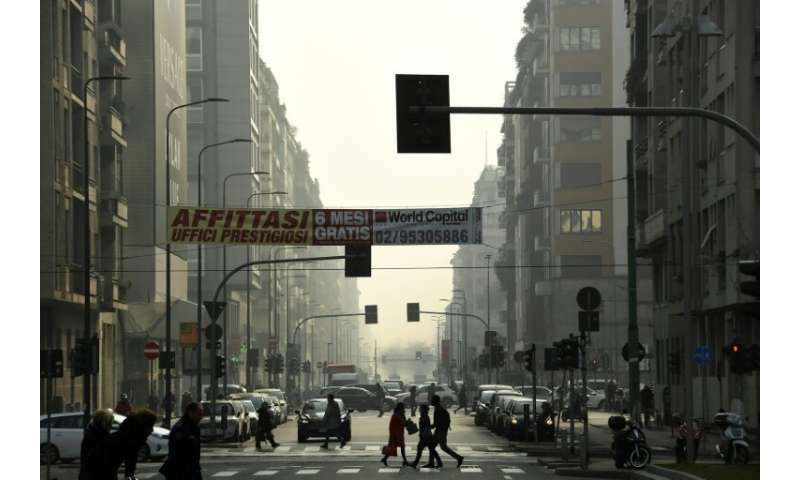 "I can really feel when there's smog, I suffer all winter long," 45-year old Milan local Fabio Cigognini told AFP, describing the asthma-like symptoms which plague him during the cold months. "We breathe in poison, but no-one tells us anything," he said. Set against the mountains, far from the ocean and cleansing sea breezes, Italy's major northern city and the Po Valley have always been at a disadvantage, climate wise. But with air pollution at "alarming" rates - among the highest in Europe - local authorities have turned to a combination of tactics to help the city and the valley breath again. 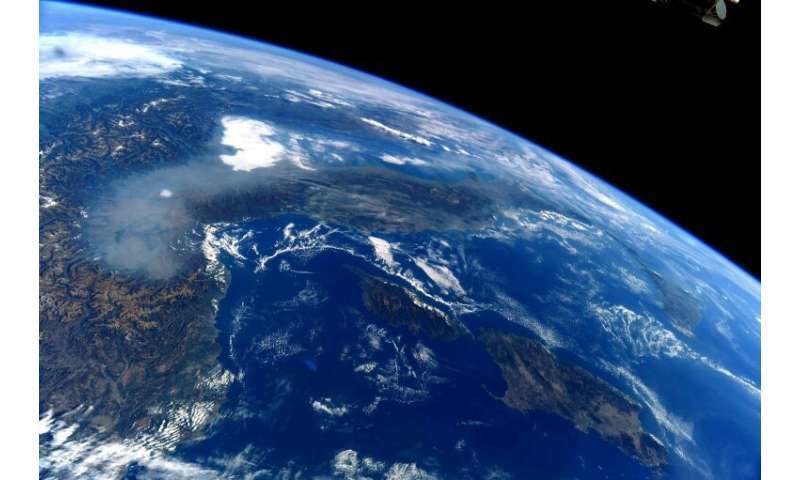 "The Po Valley is very unhappily situated for atmospheric pollution in terms of climate and geography," says Damiano Disimine, head scientist in the Lombardy for Italy's environmentalist lobby Legambiente. "Wind is rare and there are frequent and prolonged episodes of climatic inversion. This means that the air is colder in the plains than in the mountains, and is still," he said. "On a European scale, the air pollution level is comparable only to southern Poland, where there is a coal industry and frightening sources of pollution". In Lombardy, coal-fired power stations are closed and the use of heavy fuel oil for heating has been banned for 20 years. In the vast plain, which runs from the Apennines to the Alps, "a quarter of the pollution is caused by road traffic, 45 percent by domestic heating and the rest by industrial and agricultural emissions," says Lombardy environment councillor Raffaele Cattaneo. The region produces vast amounts of animal waste, a big contributor to pollution. It delivers more than 40 percent of Italy's milk production, for example, while over half of the Italian pig production is located in the Po Valley. Lombardy's action plan—drawn up in coordination with three other regions in the valley—is based on those three factors. The circulation of dirty vehicles is limited in certain areas, especially when the level of coarse dust particles (PM10) exceeds the threshold for four consecutive days. The same goes for heating in homes and offices. And those who buy greener heating systems or upgrade their home insulation can get financial assistance. There are also measures for agriculture—as a chemical reaction between the ammonia in fertiliser and the nitrous oxide from diesel vehicles accounts for up to three quarters of particles, Cattaneo said. Air pollution has decreased significantly in recent years as a result. From 2005 to 2018, the average PM10 concentration in Lombardy dropped from 46 to 29 mg/m3, and the number of days in which the 50 mg/m3 limit was breached in the region dropped from 119 to 40. Still, pollution levels exceed a 35-day limit however, breaking EU law. And the dry, sunny winter on the plain does not bode well for 2019's air quality. The climatic and geographic "handicap" should be an incentive to "do better, and more than others", Disimine said. 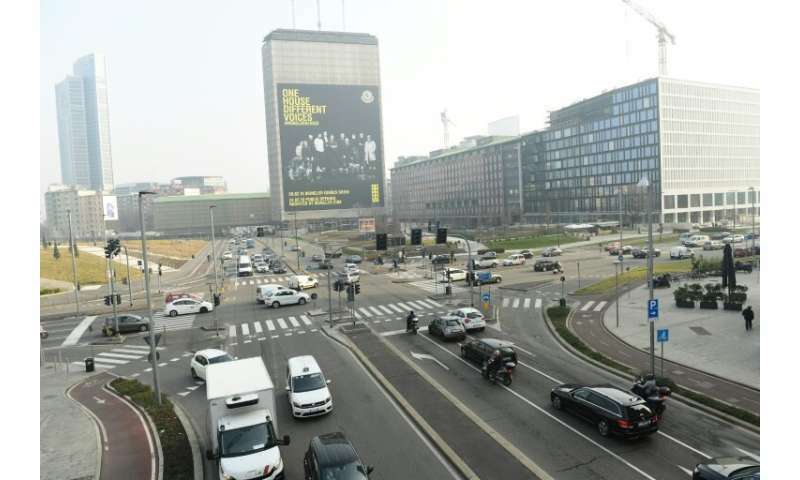 Things are improving—particularly in grey-skied Milan, which charges vehicles to enter the city centre and has just imposed a ban on the worst offenders during the day on weekdays. But Disimine says the situation still "alarming", especially as regards the nitrogen oxide level, for which traffic is to blame. There are some 65 cars per 100 inhabitants in Italy—and 51.8 in Milan—compared to 36 for example in Paris, London and Berlin. The answers lie in "public transport, car sharing, cycling" and improving bus and train networks beyond the regional capital. "In the last ten years, the number of citizens using the train has doubled in Lombardy," says Cattaneo, who favours a carrot rather than stick approach, preferring to offer financial incentives than enforce bans. The region has set itself the goal of coming in at, or under, the European Union 35-day limit by 2025.